Inspire is the only music school in the area that holds recitals on a professional stage and performing arts venue, the Firehouse Art Center. As a world-renown pianist herself, our director Tamriko Siprashvili knows a professional playing environment is imperative to every student’s musical education and emphasizes this at Inspire. All of our students learn how to perform on stage and have the opportunity to hone these skills at our twice yearly recitals. Our students learn their recital pieces in depth and have professional playthroughs and in-house rehearsals. Performance skills carry over from a student’s musical education to other facets of their life. Our students learn how to be confident in front of a crowd. They practice how to handle themselves on stage and continue their performance even when things don’t go as planned. These skills provide our students with confidence for other moments in their academic and social lives. Our students perform individually and in ensembles of different instruments. We also offer the opportunity for siblings and family members to perform together on stage. This creates a special and unique memory for our Inspire families. Our students receive achievement medals for their progress and can participate in several different achievement programs. 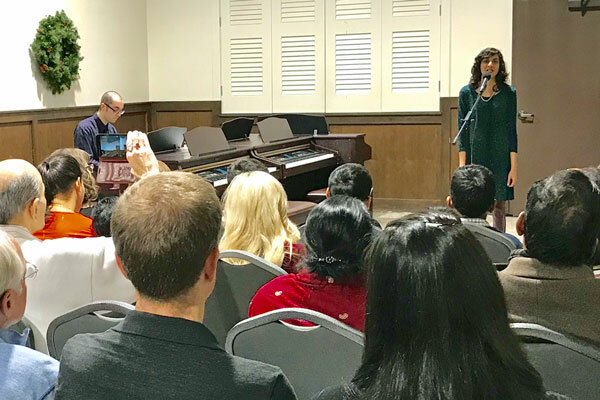 Inspire students perform twice a year: an informal recital at the Inklings coffee shop in December and a formal recital at the Firehouse Arts Center each spring. We developed this program to provide a visual and tangible way to showcase the student’s musical progress. Each one of our students will earn a medal as they complete a level in our curriculum. They will proudly wear their medals at our Spring Recital. The medals will remain the same, but the ribbon color will change as they move up the levels. They will also have an opportunity to earn pins for work done over and above classroom requirements. For students who want to pursue a more focused approach to their musical studies, we are pleased to offer the Royal Conservatory, an internationally distinguished testing program. This esteemed program provides a recognized standard of musical success through a meticulously sequenced course of study from beginning to advanced levels. The program inspires excellence through individual student assessments and allows students to track their progress with others across the country. The Music Teachers' Association of California (MTAC) sponsors a music study program entitled Certificate of Merit (CM). Initiated in 1933, the CM Program now involves approximately 30,000 students annually statewide. At Inspire Academy we prepare students for evaluation opportunities in Piano, Violin, Viola, and Voice. Our students receive scores of 93% and above on CM Theory Exams.